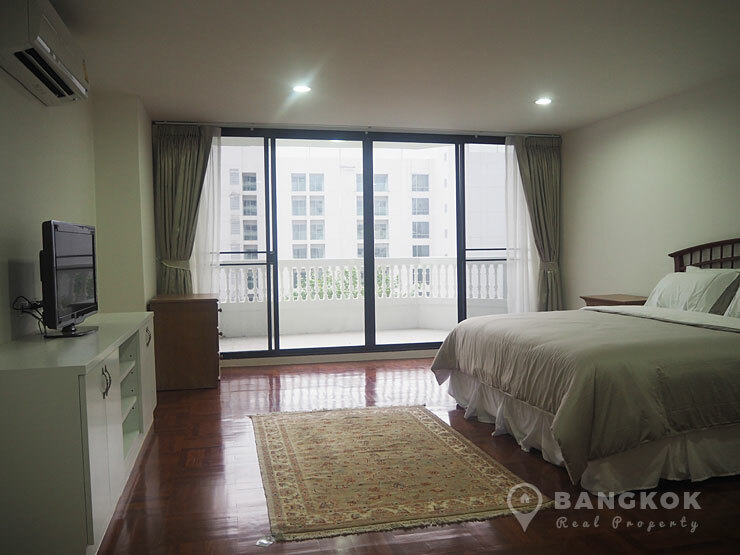 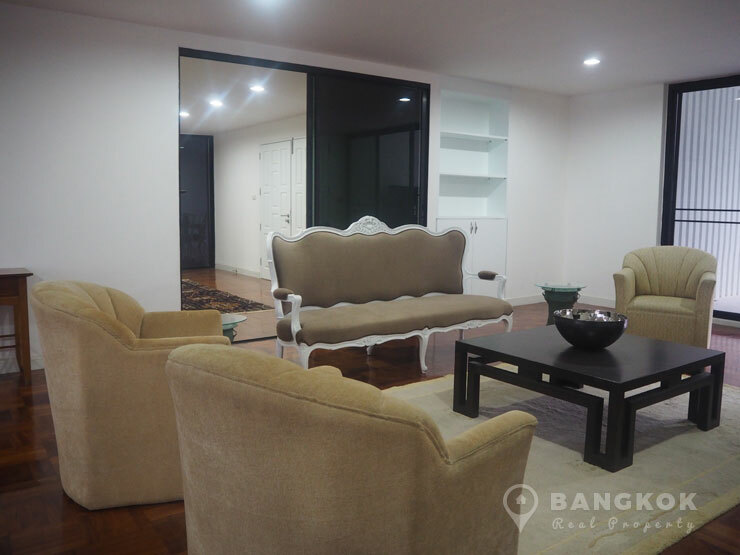 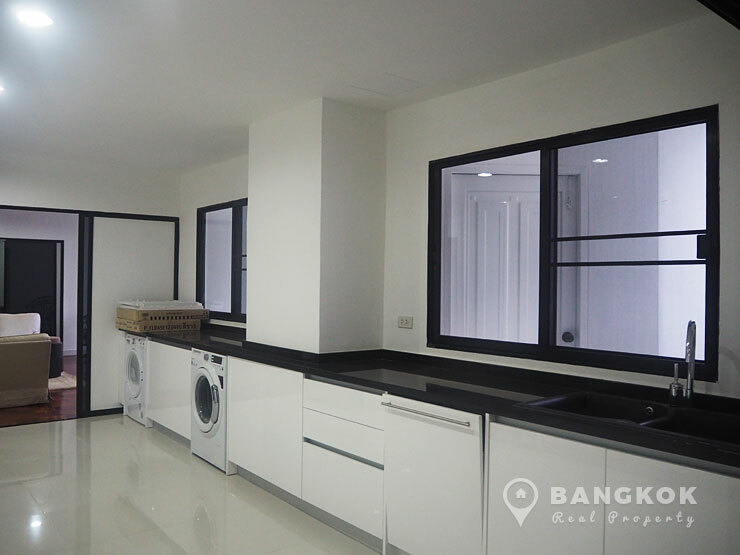 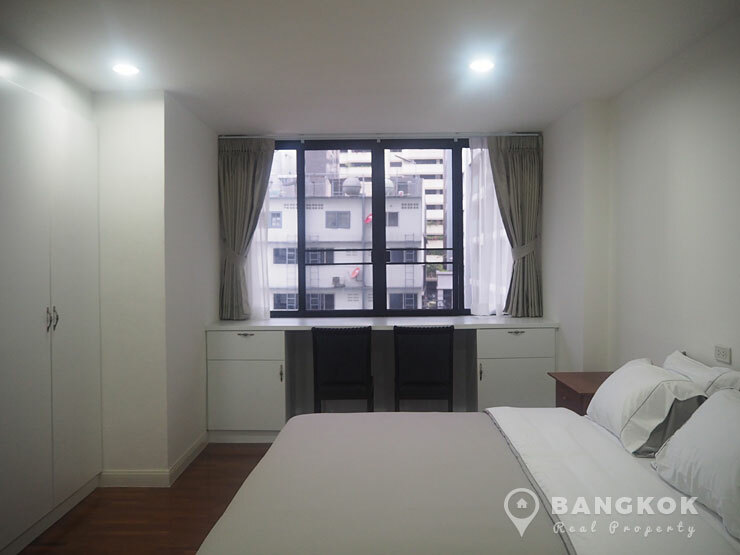 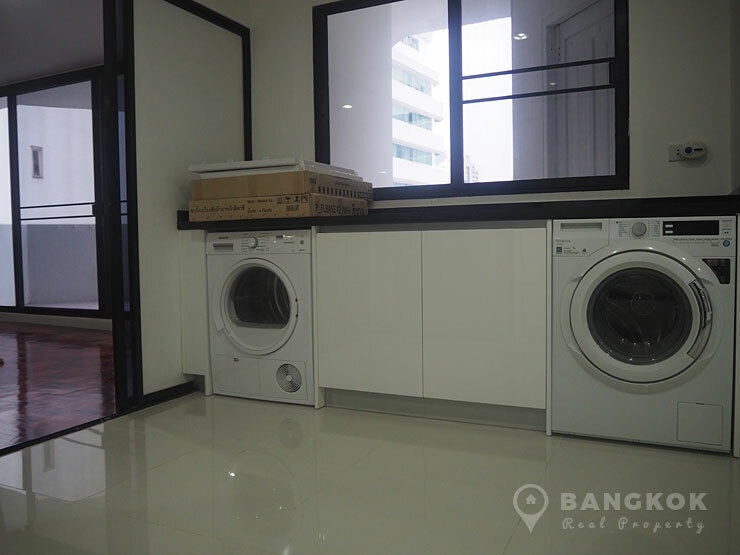 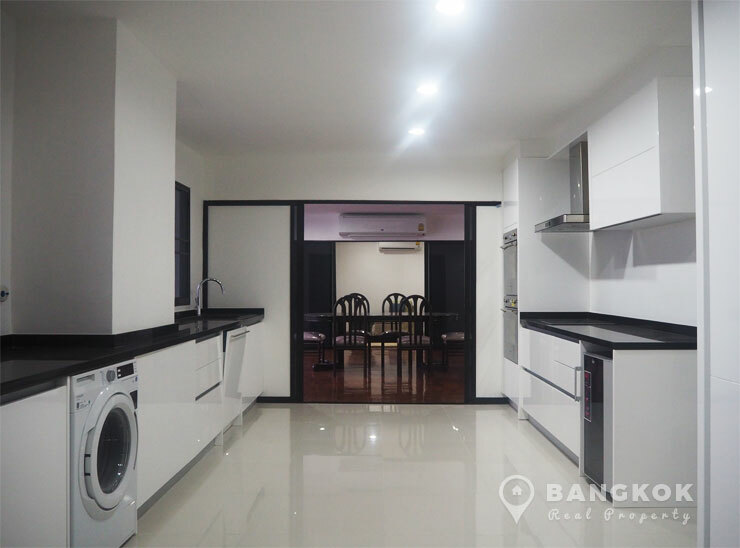 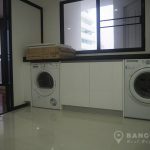 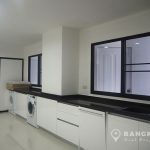 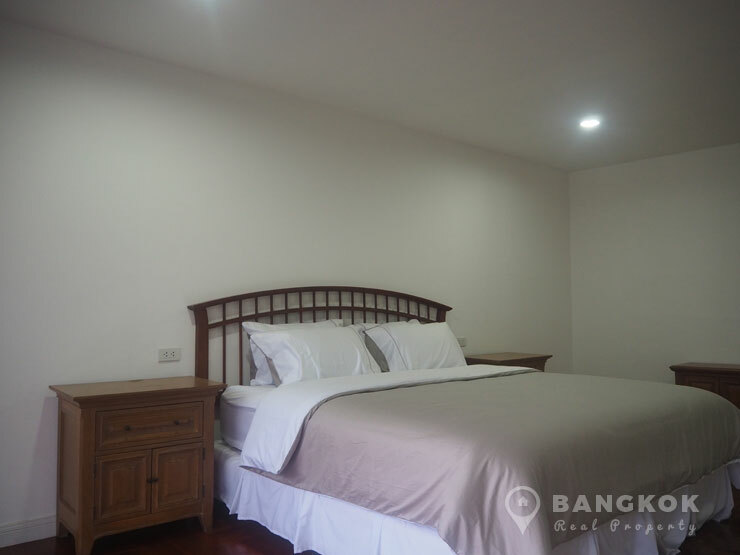 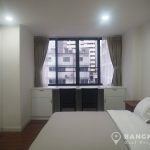 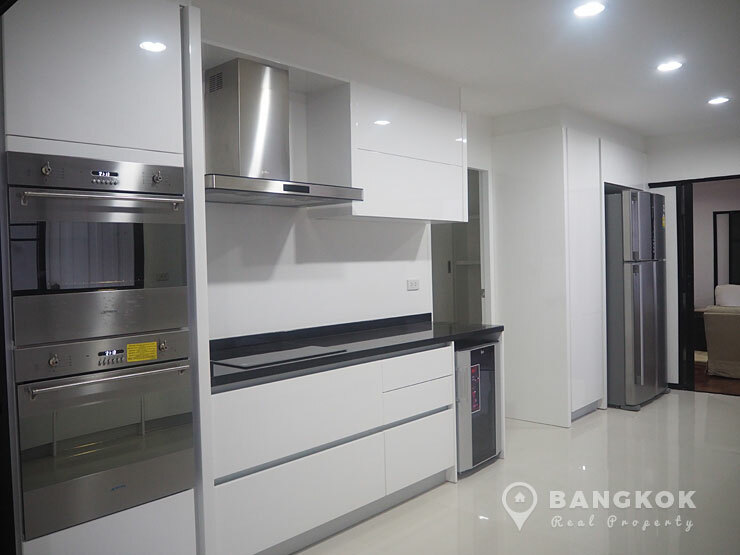 A spectacular, spacious and extensively newly renovated, 4 bedroom condo is for rent at Grand Ville House 2, centrally located on Sukhumvit 19 and just minutes walk from Asoke BTS, MRT and Terminal 21. 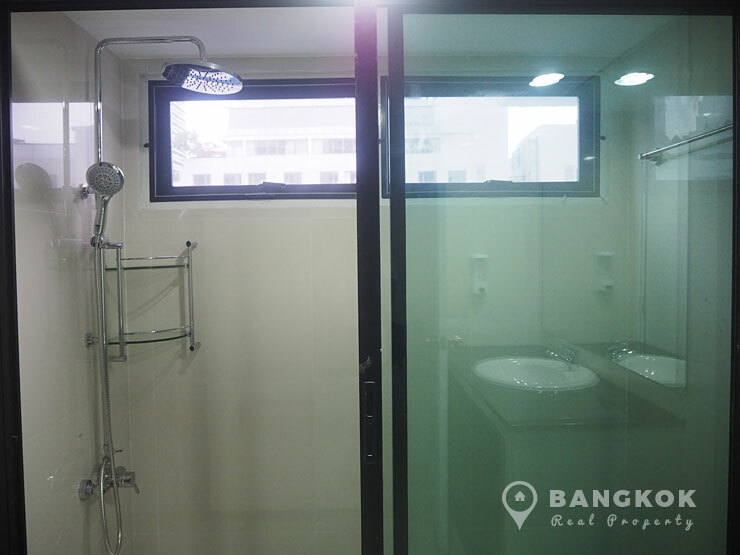 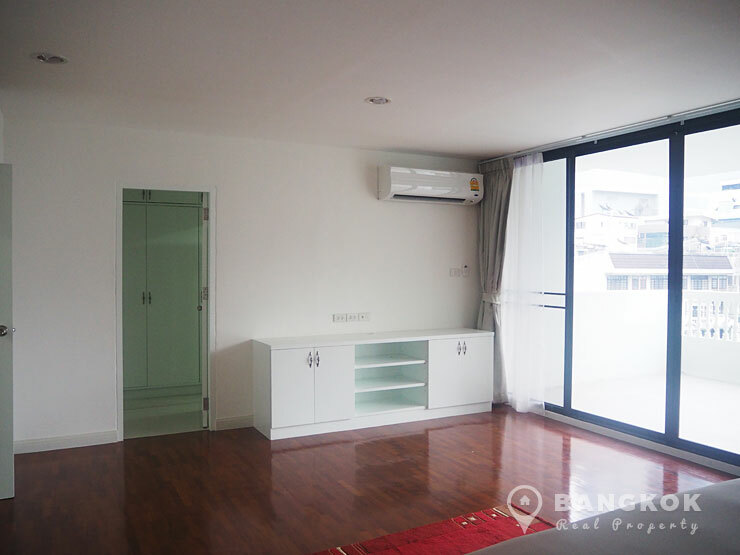 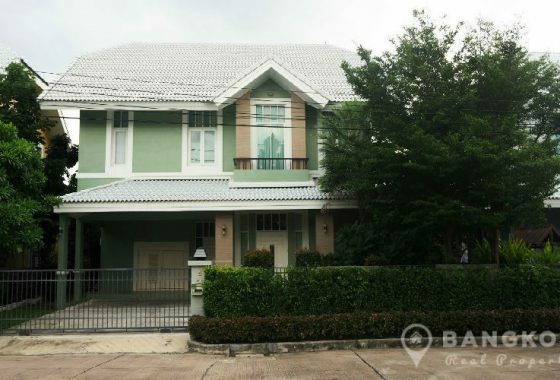 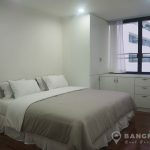 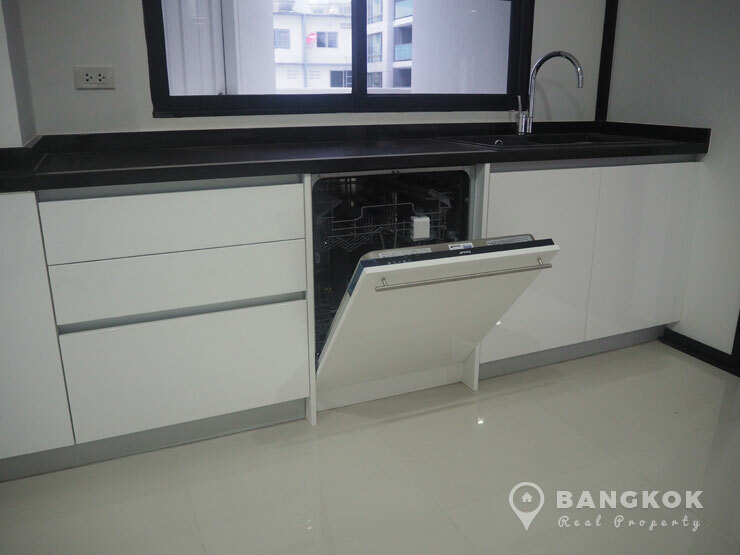 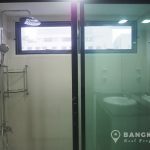 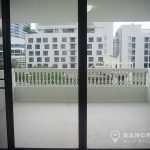 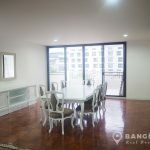 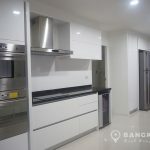 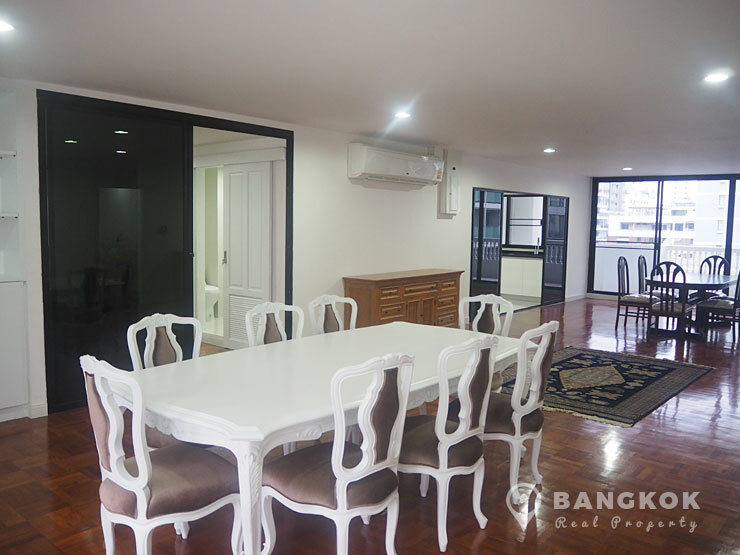 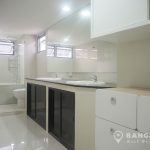 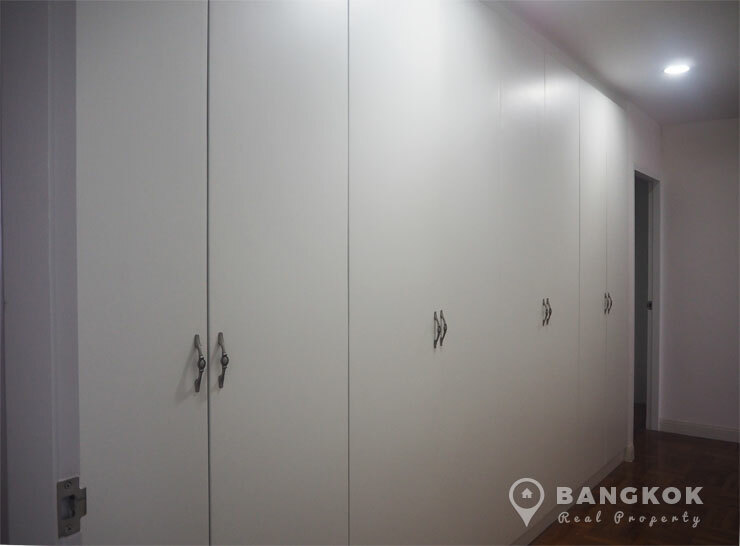 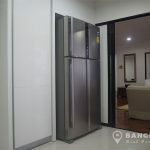 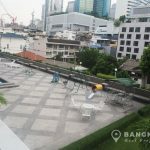 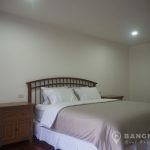 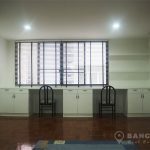 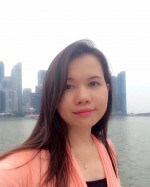 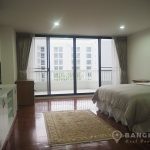 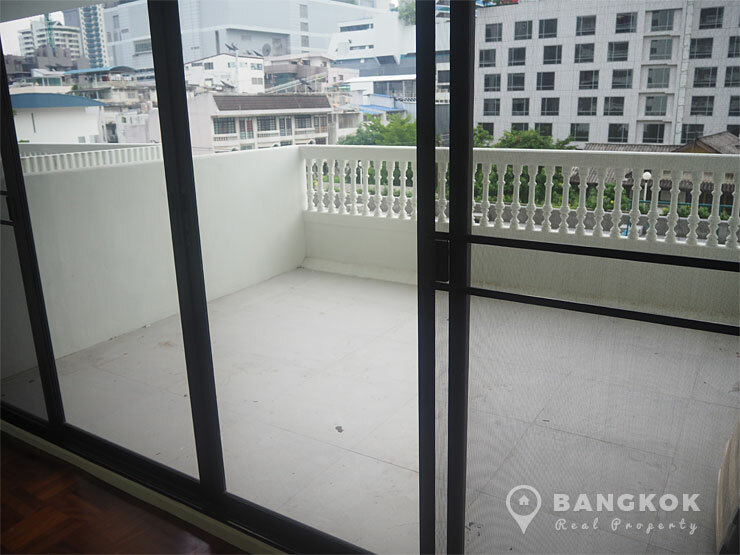 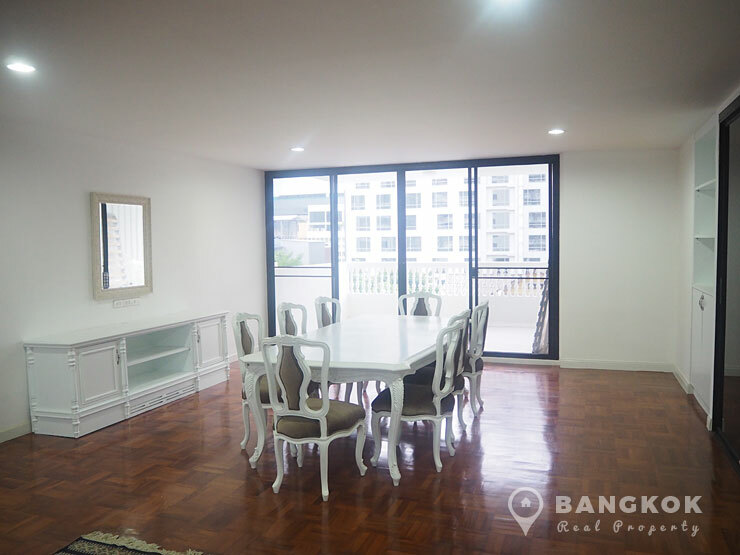 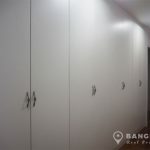 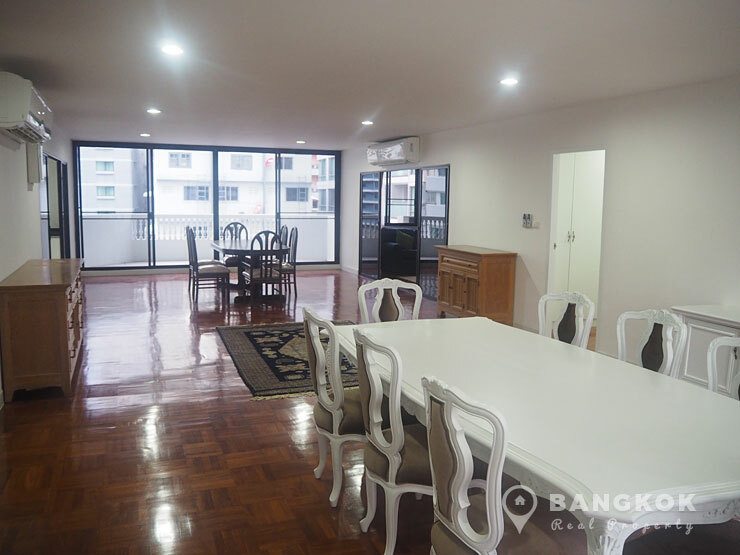 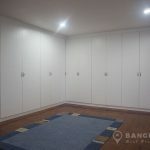 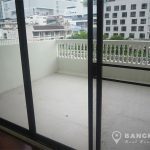 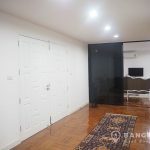 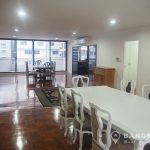 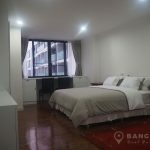 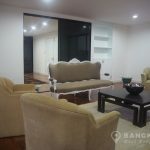 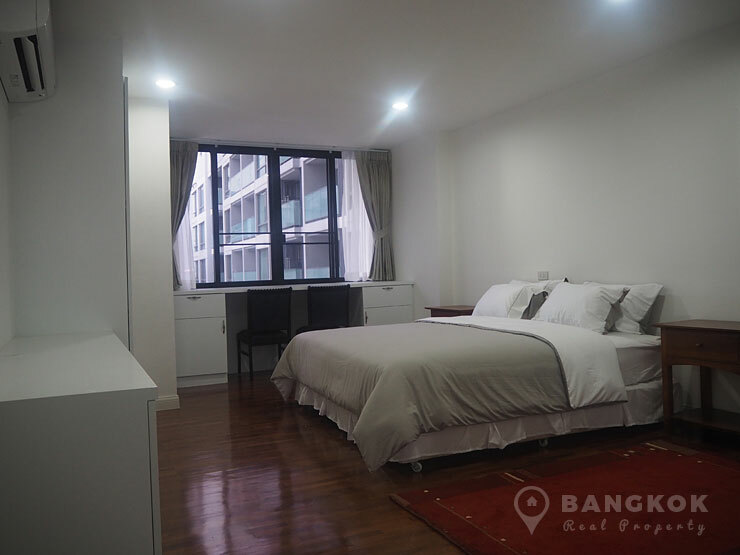 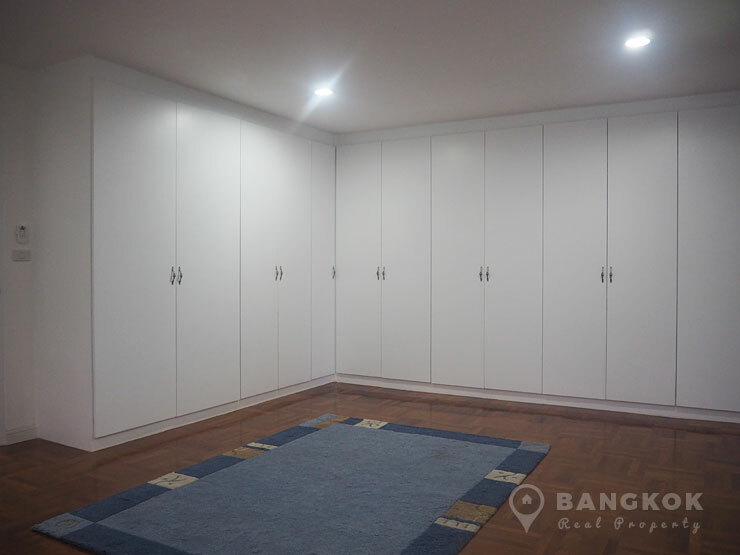 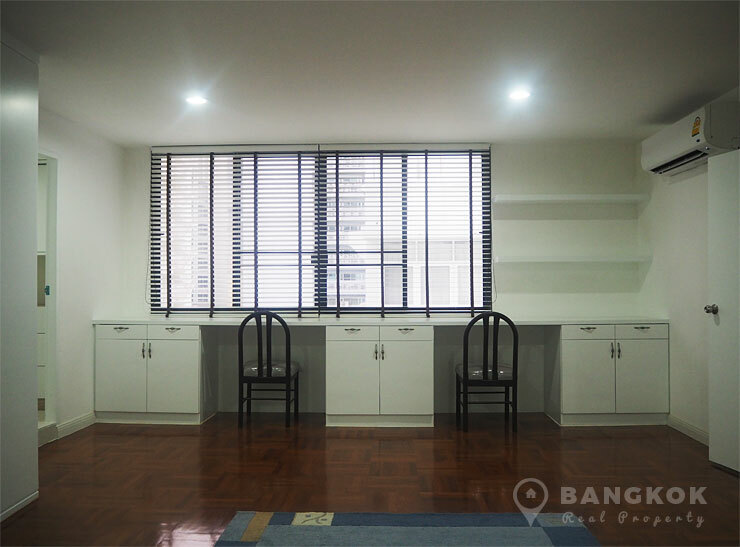 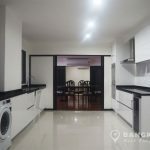 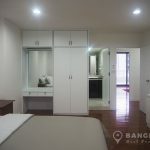 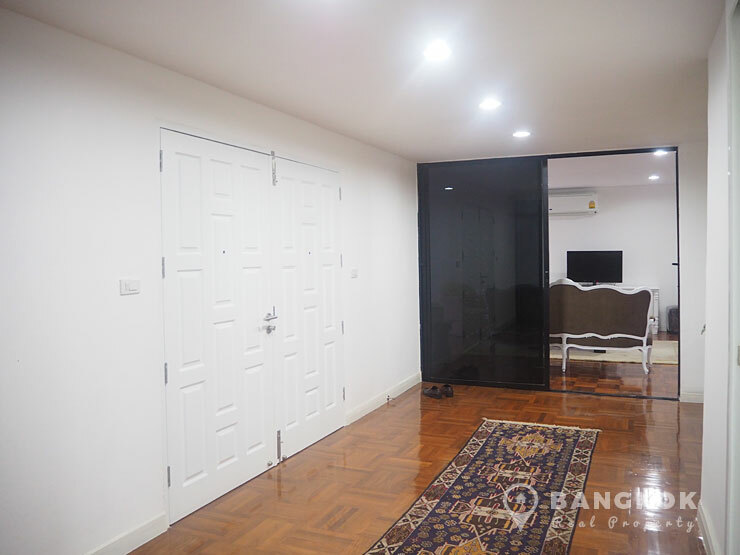 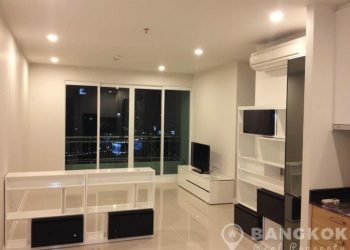 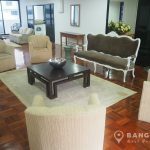 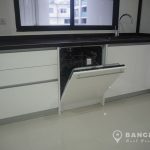 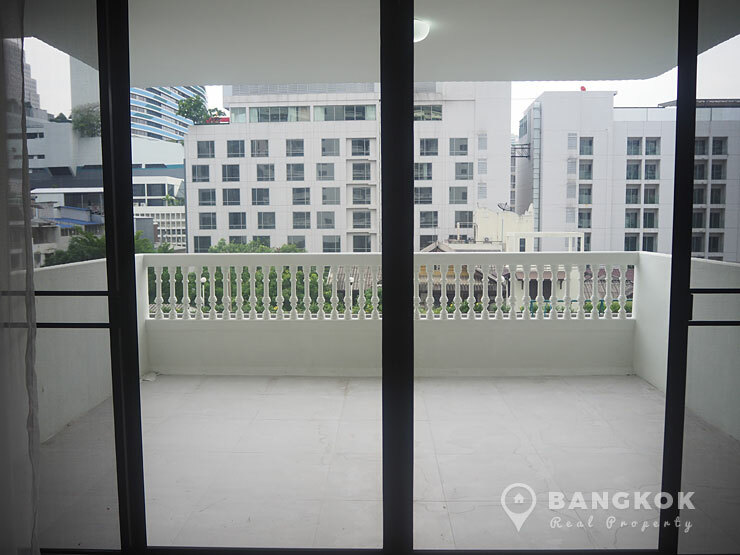 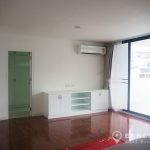 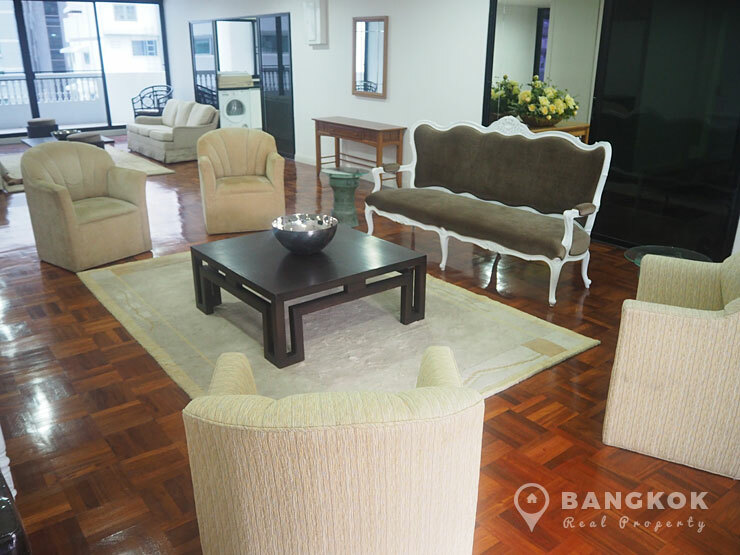 This ideally located high rise condo built in 1985, is ideal for residents looking for space in a central location with many great amenities at their doorstep including Terminal 21, Exchange Tower, Villa Market, Foodland, EmQuartier, NIST International School, Bumrungrad Hospital and Benjakiti Park. 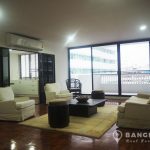 Situated on a high floor of Grand Ville House 2, this spacious condo is actually 2 merged units which have been extensively renovated and modernised giving 580 sq.m of living space with 6 large terrace balconies and amazing city views. 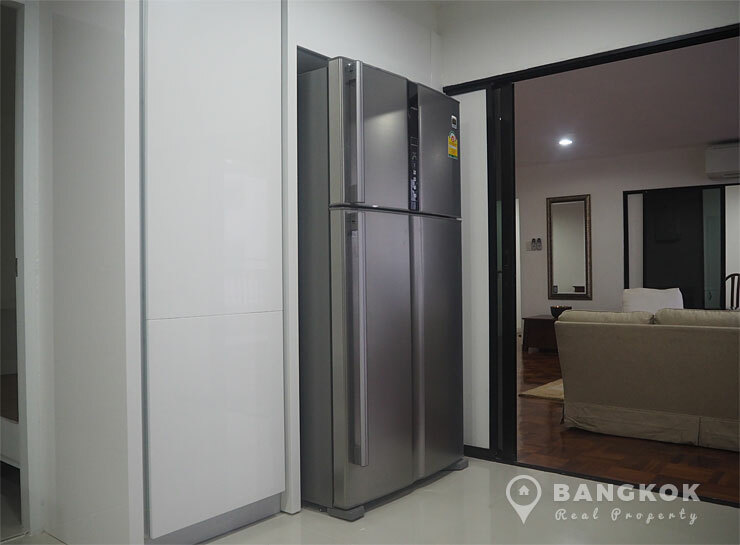 There are 4 double bedrooms, 5 modern bathrooms, 1 study / office, 1 home theatre room, a bright and airy living-dining room with dual aspect and 2 terraces and a amazing, large new European style kitchen with extensive modern units, ceramic electric hob and extractor fan (hood), double electric ovens, microwave, dishwasher, wine cooler, washing machine and separate dryer. 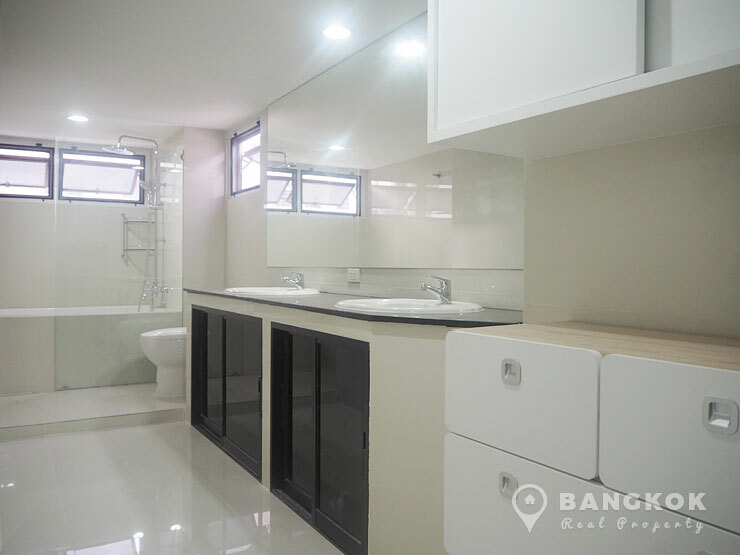 There is a utility area balcony, storage room and maids room and bathroom. 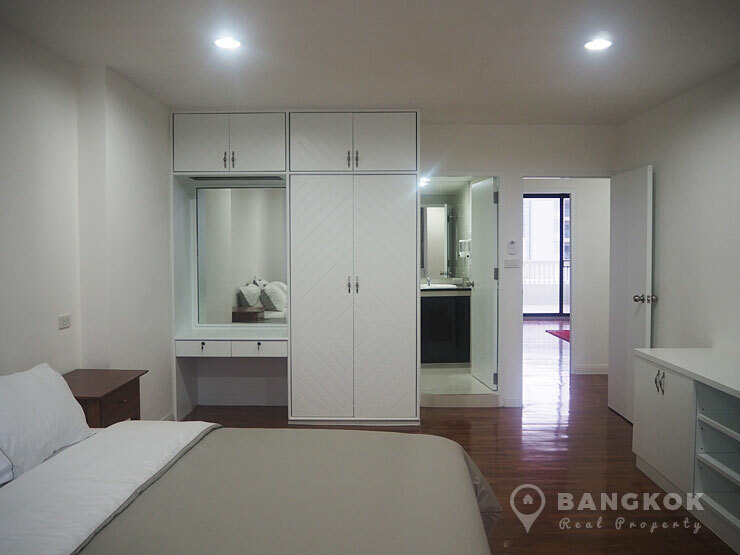 There are 4 double bedrooms all with ensuite bathrooms and most bedrooms have a private terrace and extensive fitted wardrobes. 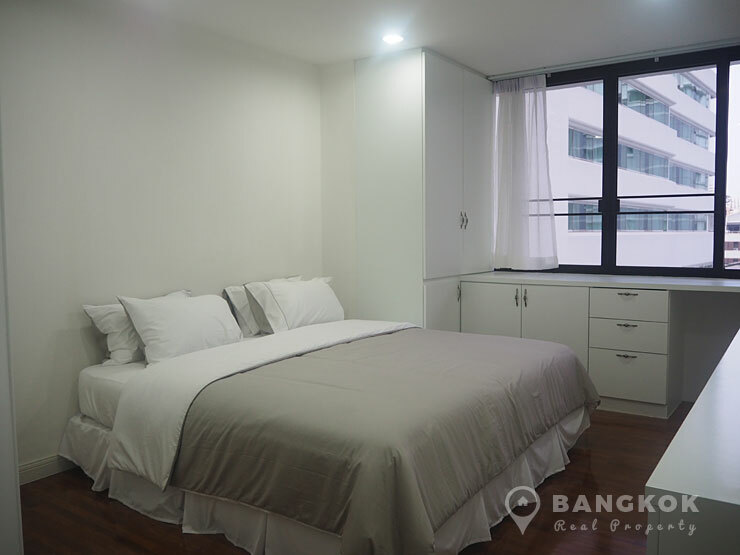 Grand Ville House 2 is a condominium project, located on Sukhumvit 19 and just 3 minutes walk from Sukhumvit MRT. 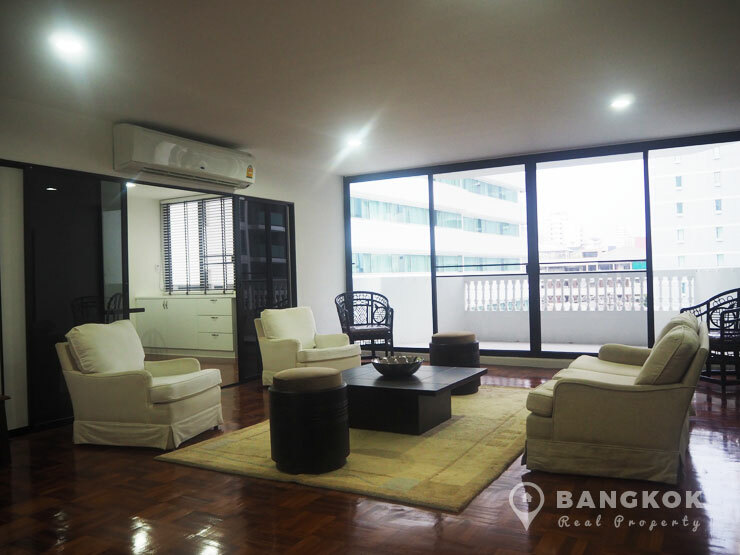 Completed in 1985, Grand Ville House 2 is a high rise project and comprises of a single building with 23 floors.